There are a lot of nice vape pens to choose from by Oakland's Sublime Canna, but the Sneaker is extra discreet for secret stoners. It easily attaches to a keychain for on-the-go highs, looking more like a chunky bottle opener than a vaping device. Sublime Canna also claims the Sneaker is the world's first chargerless vape pen — it conveniently plugs directly into any USB outlet. Give the gift of an epic bath time with Om's relaxing Epsom salts, which are infused with THC, minerals, and essential oils. While a soak feels great on any occasion, a cannabis soak means real pain relief, too. Om makes scented salts in rose geranium, lemon eucalyptus ginger, and lavender, which won second place in the 2015 Medical High Times Cup for best topical. There's also an athletic formula to address post-workout soreness. Oakland's Kiva is most known for its chocolate-covered blueberries, but the company has also started making mints with microdosing in mind. 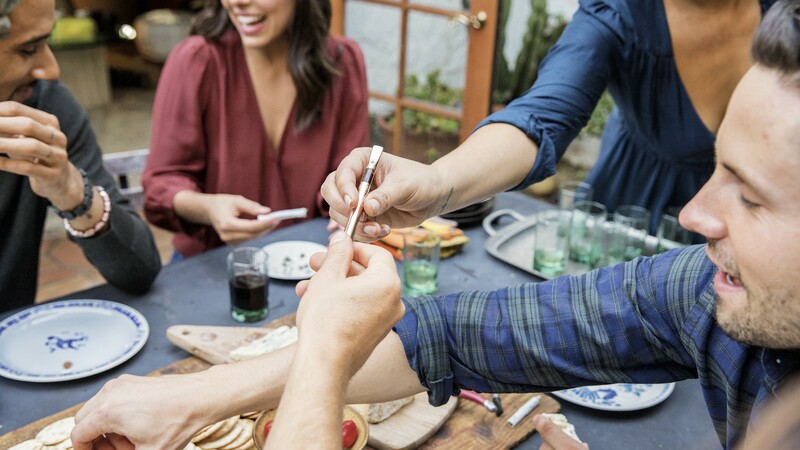 Each mint contains just 2.5 milligrams of THC — most edibles on the market have 5 or 10 milligrams — so you can be extra precise with your intake. The super-low dose also makes these ideal for nervous newbies. 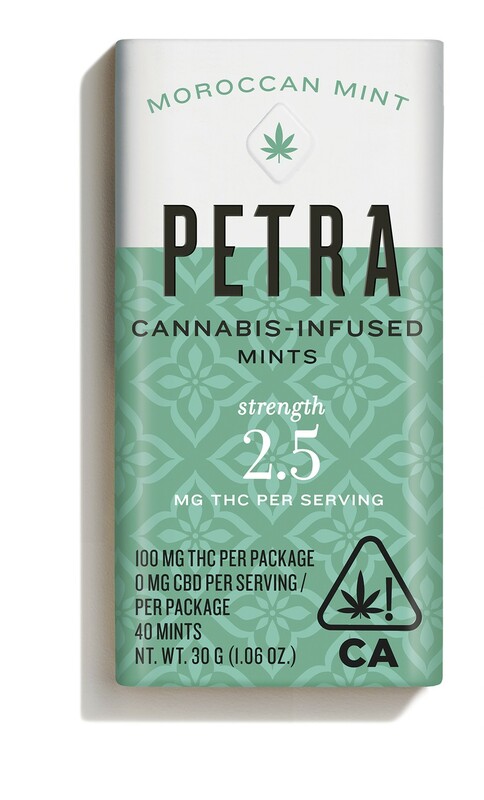 Beyond the weed, though, these mints are just plain tasty, with the refreshing brace of peppermint and a hint of vanilla. Berkeley's Atlas Edibles founder Ezra Malmuth used to be the executive chef at Lalime's, so it's no surprise that he prioritizes flavor with his cannabis-laced granola clusters. The Nimbus is particularly tasty and relatively healthy as far as edibles go, with dark chocolate, toasted hazelnuts, pecans, and currants heightening its usual oats-and-brown sugar mixtures. It also delivers a balanced, playful high thanks to its hybrid nature, but Atlas makes sativa (caramel and cashew) and indica (Mexican chocolate and pepitas) versions, too. This might be the highest of the high-end edibles made in Oakland. Défoncé sources its chocolate from Belgium and France and shows its seriousness with single-origin cannabis — all of the company's cannabis is grown in the Sierra Nevada foothills, and on organic, biodynamic farms. Its chocolatiers say the terroir of cannabis adds to the overall flavor, but really, the 66 percent dark chocolate bar studded with roasted hazelnuts, caramel bites, and cocoa nibs is so delicious, the weed is imperceptible. It's like a Nutella crepe, crisped up and rolled into a bar of chocolate, wrapped in some of the most elegant packaging around. 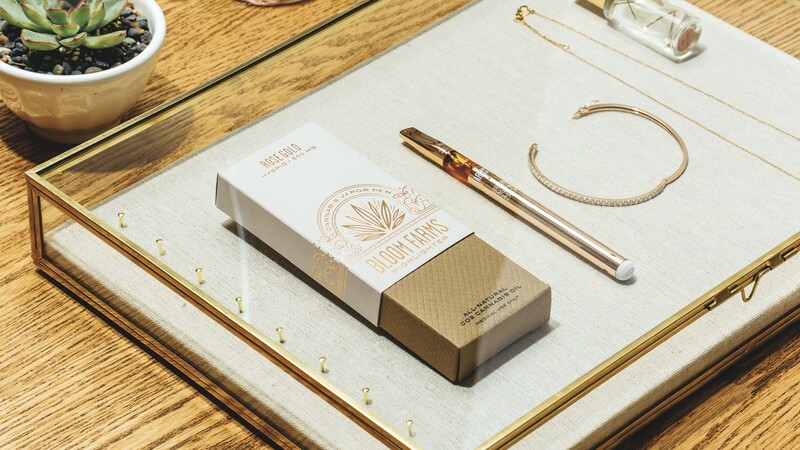 Don't forget to remind your gift recipient that there is, indeed, cannabis in this — 18 pyramid-shaped pieces containing 5 milligrams of THC each. The Rose Gold Highlighter looks particularly gift-able. Not only are Kikoko's high-end teas delicious, but they come in multiple levels of THC. While there are stronger ones available, the Sympa-Tea option is ideal for someone newer to cannabis. Made in Emeryville, each bag of Sympa-Tea contains 3 milligrams of THC, 20 milligrams of CBD, and no caffeine. After a few minutes of steeping, the soothing cup of turmeric-ginger tea should bring pain relief and relaxation. Note: A 10-pack can make an attractive gift, but you could also buy an individual tea bag as a stocking stuffer.